We would love to hear from you if you are organizing an event that you think we could be part of. Please contact us at Info@RecycleBrevard.org. These are great opportunities to share information with the community! If you are interested in implementing recycling at your event, contact us about our recycling services for events. We offer a variety of very affordable options for any type of event. For a complete list of current and past events, visit our Facebook page. 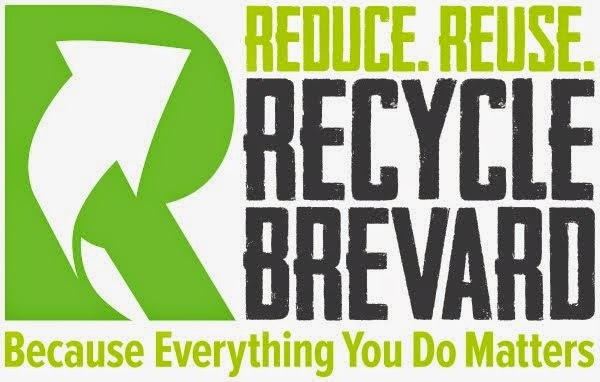 These are public events Recycle Brevard organizes different times of the year. Make sure you participate and support these local events - they are organize for you! Waste Me Not Recycled Art Show features art centered on a specific theme built around local environmental conservation topics. The art is created by Brevard County K-12th grade students who enter to participate in our Recycle Art Contest. Since 2015, the Recycled Art Show has been held at The Avenue Viera. All artwork is judged by local artists. Prizes and certificates are awarded at the event to 1st, 2nd, and 3rd places in each of the four categories: Lower Elementary (K-3rd grades); Upper Elementary (4-6th grades); Middle School (7-8th grades) and High School (9-12th grades). Some older events might not be on Facebook, but they were also a great success and made good memories. We will forever treasure each one of them. And more events to come! Make sure to check our Facebook page often to learn about all the events we will be part of.